Powers of Attorney are a major tool in every estate planner and elder law attorney’s toolkit, and the concept has been fairly well ingrained in our cultural lexicon. Perhaps it’s because of that that it never ceases to amaze me how frequently misunderstood they are. It shouldn’t be surprising that a properly informed client does not translate to properly informed children a decade or two down the road, and yet, when my colleagues and I then try to set the record straight for family members, they do not want to believe us. A power of attorney is a document that allows an individual to share with another person their own ability to manage their money and property and make legally binding agreements on their behalf to the extent specified in the document. However, since my goal is to provide a well-rounded discussion in these blog posts, and there’s no shortage of space, I’d like to break down a few key parts of that definition for those who are interested. 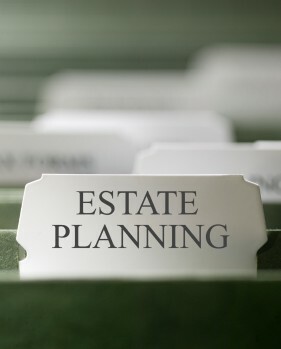 People in unique situations, like family business owners, parents of children with special needs, and people with substantial net worth are often very proactive about enlisting attorneys to craft a comprehensive estate plan. Most others understand the benefit of such planning – stating how your property would be divided up with specificity, appointing decisionmakers for any future incapacity, naming alternate guardians of minor children – but are hesitant to contact an attorney to set their affairs in order. This is entirely understandable. People rarely find themselves excited to consult an attorney in general, and even less so when the purpose is to contemplate your own mortality. The prospect of death or incapacity may seem unlikely for your age, making it easy to put off, and spending money on a backup plan may not seem like the best use of limited resources in a tight economy. Notions of costs in the thousands rather than hundreds or the belief that an expensive “living trust” is needed to avoid probate doesn’t help much either. But for all of the practical difficulties people know are possible with a lack of planning, few are aware that there can be significant financial consequences of improper planning, even for those modest means. In most cases, even basic estate planning will offset significantly higher hidden costs in the future. After the break, three extremely common examples of these costs. 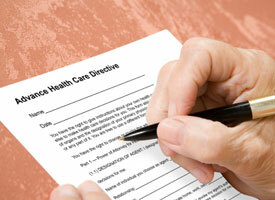 How a $75 piece of paper can save you a boatload of trouble. I suggested that getting his own health care plans in order was more important. That’s not to say that this was the more pressing issue, but a healthy spouse’s plan does have broader consequences than a sick one’s, and it’s not hard to see why. In my client’s case, once the wife becomes unable to manage her finances and care, everyone – the hospitals, the family and the courts – will be looking to him for answers, and he’s more than capable of giving them. Should the husband have an automobile accident, or a fall, or a serious illness, however, he’s asking for an express ride down the rabbit hole in the healthcare decision process. Scott Rosenberg is a CT and MA- licensed attorney with a focus on estate planning and elder law. He operates a small solo practice on the south-central Connecticut Shoreline and is active in the Trusts, Estates and Probate section of the New Haven County Bar Association. Outside of law, Scott volunteers with the AARP TaxAide program and serves on the board of directors of the Learning Disability Association of Massachusetts. The materials presented on The Estate Planning Ticker and scottrosenberg law.com are provided as general information and never constitute legal advice. Posts do not provide an exhaustive discussion of any legal issue, are not specific to the laws applicable in any one state, and are not updated after posting to reflect changes in the law. Outside sources such as news reports, reference sites, and other blogs that are commented on or linked to have not been vetted for accuracy. You should never act upon the insights provided by The Ticker or any other law-related website without first discussing the issue with an experienced attorney in your home state. Comments and questions are welcome on all posts, provided they are topical and appropriate. However, all comments will appear publicly. Comments are not subject to attorney-client confiden- tiality rules, and commenting does not create an attorney-client relationship between us, even if I respond. If you are a CT or MA resident and wish to retain my services, please contact me privately by phone or email. Users may freely link to, trackback, or reference this blog and any materials presented in it. However, the contents of this site are copyrighted and may not be reproduced elsewhere, in whole or in part, without my written consent or without proper attribution. I encourage colleagues to contact me for potential article sharing, collaboration, or to have their site added to the blogroll. PORTIONS OF THIS SITE CONSTITUTE ATTORNEY ADVERTISING. Where Should I Keep My Important Documents? My Name’s on Mom’s Checkbook – What Does That Mean?